The Interdependence Movement, founded by the late Profesor Benjamin Barber, was a network of citizens without borders, including artists, educators, students, politicians, entrepreneurs, civic and religious leaders and other activists, who recognized the interdependent nature of our world and advocated for new forms of constructive civic interdependence to solve the multiple cross-border challenges in economics, ecology, technology, war, disease, and crime that confront us. From 2003 to 2015, people from around the world celebrated September 12 as Interdependence Day and forged a year-round movement to combat unilateralism, parochialism, ultra-nationalism, and isolationism wherever they are found. 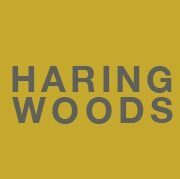 Haring Woods commitment to Dr Barber’ work on interdependence, the remarkable gatherings and ongoing relationships has considerable impact on all aspects of our work. Twelve Interdependence Day Celebrations and Forums were produced in Philadelphia, Rome, Paris, Casablanca, Mexico City, Brussels, Istanbul, Berlin, New York / London, Los Angeles and Dublin and New York, with cultural, political, education and faith leaders from around the world attending the programme of scholarly seminars, public debates, artistic performances and exhibitions. A Youth programme ensured that young leaders from around the world contributed to the debate and overall culture of the movement. Haring Woods participated in and co-produced the event since from 2006. Eileen was a member of the Global Steering Committee from 2007, and in 2013 was appointed as a member of the Executive Committee. Harry Belafonte; Jacqueline Z. Davis is Executive Director of The New York Public Library for the Performing Arts at Lincoln Center, New York; James Early, former Director Cultural Heritage Policy, Center for Folklife and Cultural Heritage, Smithsonian Institution; Cornel West, American philospher and political activist; Tavis Smiley, broadcaster; Graham Sheffield, Barbican and British Council; Guy Gypens, Director KaaiTheatre; Liz Levitt Hirsch, Board President, Levitt Pavilions; David Baile, CEO International Society of Performing Arts; Jochen Sandig, Director RadialSystem V, Berlin; Professor Eric Corijn, Vrije Universiteit Brussel; COSMOPOLIS City, Culture & Society; Ferenc Miszlivetz, Director, Institute for European Studies; Martin Frick, Professor Nicholas Cull, University of Southern California; Jakob J. Köllhofer, Director Heidelberg German American Institute; Dr. Daphné Romy-Masliah, Founder of Académie Sans Frontières; Tiffany Shlain, filmmaker; Professor Bikhu Parekh, and Lord Fank Judd. Acknowledge the brute facts of interdependence and globalization and seek approaches to democracy that are appropriate to collaboration and interdependence. In a world where the problems are global, democrats must find a way either to globalize democracy or democratic globalization, or they are likely to find themselves facing global anarchy (and global force and fraud) without possessing global tools to take them on. Understand that trust is a product of social capital and civic engagement, and that the failure of trust and of confidence that afflicts capitalism in this period of meltdown will only be remedied by a social trust capitalism cannot produce and sometimes undermines. Build social trust and social capital through civic and cultural means and democracy can grow across borders. Recognize that representative government, although a remarkable invention that allows democracy to function in large-scale, complex societies where direct participatory self-government is no longer possible, wins its victory to some degree at the price of the so-called iron law of oligarchy. Representatives quickly lose touch with their electors and can change into elites more wedded to their own culture of power than to the public good. When it is not just citizens who don’t trust politicians, but politicians who don’t trust citizens, democracy is at risk. Ultimately, democracy works bottom up, not top down, with elections and constitutions depending for their viability on civil society, engaged citizens and a robust system of liberal, civic and experiential education. Restore the balance between free markets and democratic institutions: both democracy and capitalism work best in tandem, when competition, entrepreneurship and inventiveness are assured by markets but justice, law and stability are guaranteed by democratic regulation and oversight. There have been times when statist ambitions, even in a democratic environment, have stultified markets and encroached on private liberty. But in our time, market fundamentalism has stultified democracy and encroached on public liberty. The balance needs to be reset aright within nations, before those nations are likely to pursue transnational forms of democracy where the balance can also be calibrated globally. Strengthen civic education in the setting of interdependence, where citizenship is understood to require both local participation and global responsibility – “glocality” is a useful neologism to capture the needs of citizens whose participation tends to be local but whose responsibilities are ever more global. Reinforce the idea that responsibilities are the twin of rights, so that citizens’ obligations start but do not end with voting. For democracy is measured less by the achievements of the leadership than the willingness of the citizenry to accept responsibility for governance. Utilize the new digital technologies and the world wide web as tools of civic engagement and civic education across borders. Democracy is founded on effective communication, and while the world is more disparate and complex than ever, we have new tools that until now have been used primarily for commerce, but which cry out to be used for civic information and democratic engagement. Global citizens need global modes of communication: the internet beckons! Build on the civic infrastructure we already have (NGOs, foundations, Multinational companies, universities, social movements) to begin to establish the global civic infrastructure we need. Democracy grows bottom-up and is grounded in civil society and engaged citizens participating in civic life. Democracy without borders means citizens without borders, and citizens without borders are possible only when there is civil society without borders. It does not have to be invented ex nihilo, it can be grown from the civic resources already present within societies. Social capital is produced by engaged citizens: when it is globalized, transnational democracy becomes possible. Look to international organizations (the U.N. system) and the International Financial Institutions (WTO, IMF, World Bank) as potential instruments of democratic globalization. At present, these institutions tend to represent the sovereign nations that created them rather than the international ideals in whose name they were established. But they are controlled by democracies, and can be put to democratic purposes if their constituent members choose to do so. The Security Council is more important than the Secretary-General’s office only because its members choose to treat it that way. The WTO serves financial and banking interests rather than the interests in social justice of the countries where the bankers operate only because their members prefer it that way. Focus on the Arts as an inherently cosmopolitan and interdependent genre capable of generating the creativity and imagination active interdependence demands, and hence an institutional starting place for efforts at animating and organizing interdependence in the civic, political and cultural arenas. Put the arts and culture at the very center of the celebration of interdependence, and use it as a model for others seeking economic, political and civic interdependence.